It was one of those mid-December Monday mornings in Berlin, just on the cusp of the winter solstice, in which my mind woke up an hour or so too early. That meant I’d likely go through the day with a hint of weariness, or maybe there’d be an afternoon nap. For now, though, morning mug of coffee in hand, I looked at email (nothing requiring immediate reply; that’s good, I mutter to myself), then checked for messages on Facebook. A friend in Vancouver – still nighttime there, morning here — wanted my prediction. Prediction of what, I asked. U.S. Electoral College, he said. Oh that, I sighed. Apparently, lots of people, unable to bring themselves to believe that the U.S. presidential election was over and that President-Elect Donald Trump was really going to become the next occupant of the White House, were hoping against hope. The Electoral College meeting in Colorado. 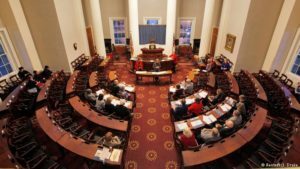 Their last hope was that some of the 538 electors voting in 50 state capitals and the District of Columbia that day (more than 300 of whom, by virtue of state-by-state vote outcomes, were pledged to vote for Trump) would magically turn into what are known as “faithless” delegates and suddenly vote for Trump’s rival, Hillary Clinton, despite being official Republican representatives and usually fervent party loyalists. The media had already located one Republican delegate in Texas who said he couldn’t bring himself to vote for Trump (an announcement that earned him several dozen death threats from his homicidal constituents, many of whom were no doubt armed). And then there was a Clinton-supporting professor at Harvard who assured people that already more than 20 (of a needed 37) electors were going to switch their vote to Clinton. Finally, as always these days, there was a good deal of contagious chatter on social media. My pal in Vancouver had caught some of the contagion. I sent him the equivalent of a digital snort down the cyber-chatline and urged him to adopt some variant of the Biblical injunction about “childish things.” How does it go? “When I was a child, I spake as a child, I understood as a child, I thought as a child, but when I became a man, I put away childish things,” says the ever-helpful text (1 Corinthians 13:11, King James version). Put away the childish belief that even though Hillary Clinton defeated Trump by nearly three million votes in the “popular vote,” that it meant anything other than a Pyrrhic victory. Put behind you the childish notion that the antiquated Electoral College method of determining the winner of the U.S. presidential election was not going to be adhered to in 2016, or that the votes of the electors would suddenly switch. “Not gonna happen, get over it,” I said, in post-Biblical lingo. 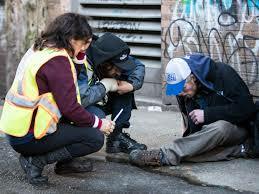 The fentanyl crisis in Vancouver. He works at a “helping” agency in Vancouver, in a neighbourhood that is currently in the midst of an opioid crisis (the district is known as Downtown Eastside – it used to be plain old Skid Road when I first arrived in the city long ago). I figured that my chum had probably seen too many overdoses and dead-on-arrivals lately, the result of an epidemic of fentanyl use ravaging that part of town. Dealing with too many OD’s and DOA’s might have the effect of making you more inclined to engage in magical thinking. Somewhere in the chit-chat, I think the word “post-truth” was uttered and maybe even the term “fascism” wafted through the ether in relation to the state of the not-so-United-States. I, as usual, counseled moderation when contemplating political fantasies, conspiracy theories, or being tempted by pure wishful thinking. If there was one thing we could be reasonably sure of in an uncertain world, it’s that any delusion about the Electoral College would dissipate before dawn. Can’t quite remember what I did next. Did I sit down for my morning reading session and look at an article about the impending world of driverless cars? Well, yeah, I began to read, but not the driverless car story (and anyway, I barely understand “Uber,” the digital transportation service that’s replacing taxis). Now I remember. Read Martin Filler’s piece – he’s my favourite architectural critic – in the New York Review about the revival of the reputation of Brutalist architecture (the mid-20th century predilection for the use of unadorned, raw concrete in buildings). It’s a style associated with the renowned Swiss-French architect Le Corbusier, among others. My friend Thomas lives with his wife and children in Corbusier Haus, the architect’s landmark Berlin project, located west of the city proper, out by Olympic Stadium. Speaking of Thomas, I was on my way to meet him for lunch at my neighbourhood café, the Kastanie, which is a couple blocks away from my place, on the median-divided, linden-tree-lined Schloss Strasse, a mini-boulevard that leads to Charlottenburg Castle. There was something else, too. Something on my mind about Trump, or “fake news,” or was it Aleppo in Syria? Something I saw on the machine. Maybe it’ll come back to me later. Anyway, Thomas, who had just arrived from work (he teaches at a Berlin high school), and I, having strolled over from my apartment, had a mid-afternoon cappuccino at Kastanie and synchronized our minds until it was time for him to go off to the daycare centre and pick up the kids. By the time I’d walked home, it was a choice between getting in a little more writing time at the computer or turning on the box to see “the news today, oh boy.” I picked the latter. 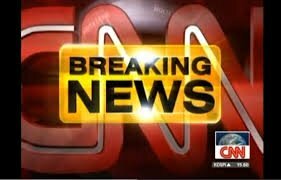 CNN was trying to persuade viewers that it would be interesting to observe the Electoral College delegates cast their ballots at various state capitals and to keep watch on whether any electors switched their votes or to see if possible protesters turned up to disrupt the proceedings. To that end, cameras and reporters had been strategically posted at far-flung capital cities from Columbus, Ohio to Trenton, New Jersey, to Pierre, South Dakota. (Wait, I’m not sure about Pierre; I think that’s just a scrap of old memory – my father took me there once on a family holiday when I was 13.) 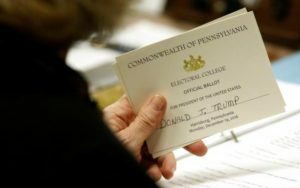 In any case, the fantasy prospect of an Electoral College revolt fizzled faster than a soggy firecracker, and we were soon reduced to filler punditry and the low-grade excitement of watching a counter in the corner of the screen that recorded President-Elect Trump’s incremental but inexorable climb to the magic number majority of 270 Electoral College votes. Toward the end of the hour, after a loop of commercials touting Nigerian banks, Abu Dhabi health centres, and investing opportunities in Macedonia (this is what the ads are about on CNN International), the screen flashed a big “Breaking News” logo and suddenly we were in Ankara, Turkey. 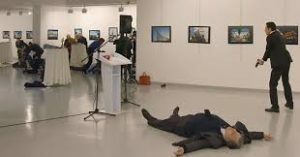 There, after the anchor’s hasty “this may be disturbing” warning, we were jump-cut straight into a gruesome video of the Russian ambassador to Turkey, one Andrei Karlov, being assassinated in an Ankara art gallery where he was giving a little speech at the opening of an exhibit of photographs from his homeland. The first frames were of Karlov at a podium, instantly crumbling as the bullets drilled him. The assassin was a mid-twentyish, lean man in a black suit and tie — a Turkish police officer, it turned out. Seconds later, the on-the-scene journo voiceover, accompanied by looped footage of night-time Ankara streets on the screen — pan to the upstairs lighted gallery where the figure of the killer can be seen brandishing his weapon a half-hour earlier – informs us that Turkish security has already “neutralized” (i.e., killed) the killer. And the viewer, aided or confused by various analysts, terrorism experts, and maybe an academic pundit or two, is left to ponder the murderer’s motives, the effect on Russian-Turkish relations (which had recently warmed), the present state of the Syrian catastrophe over which Russia, Turkey and Iran are negotiating (earlier-in-the-day video segments re-run themselves through the mind, of convoys of buses and Red Cross vehicles moving through streets bombed to smithereens, ferrying trapped civilians and defeated rebels to… where? ), and, not least, to wonder whether the 7-year-old girl in eastside Aleppo who video-blogs on YouTube is still alive. She is, we learn the next day, or was that the day before? – time gets blurry in virtual reality – but I saw a clip of her, having been rescued and standing next to the seated Turkish president, Recep Erdogan. And then, even though it’s happening faster than can be absorbed by consciousness, the news seems to speed up. There’s a shooting at a mosque in Zurich; an explosion at a fireworks market in Mexico that kills 31 (or was that the day after? ); more Aleppo; is that a bomb in Baghdad? ; and Russian president Vladimir Putin is standing before a microphone to pronounce on the status of relations with Turkey; then a sheet of fire sweeps across the screen from a burning town somewhere in Japan… the whole thing is like a giant spinning Tibetan Buddhist prayer wheel, with paper prayer slips, money, and learned texts stuck to the whirling celestial device. An hour or so later, sometime just after 8 p.m., moving between the computer table and my writing desk, I flicked on the TV for a second to get the update on the dead assassin’s murky motivations in Ankara. Instead, something else was on, “rolling coverage,” a mix of live reportage and loops of visuals from a Christmas market where a possible terrorist has driven a large tractor-trailer truck into the shoppers and through the stalls offering trinkets, mulled wine, hot chocolate and other seasonal items. The Christmas market – they’re all over Europe, everywhere in Germany — is located at Breitscheidplatz – wait, that’s right here! — in downtown west Berlin, across the street from the entrance to the Berlin Zoo, in the square of the Kaiser Wilhelm Memorial Church — which had been bombed out during World War II and whose charred ruins (the shape resembles a jagged, broken tooth) had been retained as a reminder of the folly of war. Now time slows to a crawl, coagulates, and you let the succession of images on the screen proceed as bits of information about the attack – 12 dead, dozens injured, transport truck registered in Poland (but not a Polish terrorist, surely? ), suspect in custody – already? — seep through the visuals, repeated again and again, until you’ve unintentionally memorized the sequence, with occasional cutaways to reporters in the street, and then back to the anchor desk for a split-screen interview with a terrorism expert in London or Washington. But what’s different about this atrocity from all the others we’ve seen on various screens in recent years – this one replicates the incident in Nice, France on Bastille Day, last July, when a similar transport truck swept down the waterfront promenade, killing, how many? 80 people? — is that this one is right here. I could get on the 109 bus outside my apartment building, and ride down to the site of the attack in 15 or 20 minutes (something thousands of people will do over the next 48 hours). The bus route terminates at the Zoo Garden train station; from there it’s a five-minute walk to Breitscheidplatz. Time is temporarily irrelevant, the TV broadcast continues behind me as I periodically check the computer for the Guardian newspaper’s “live updates,” compressed into a “What we know so far” report. 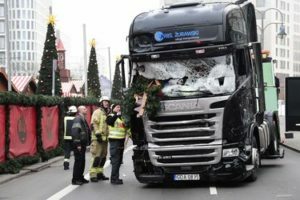 The 9 p.m. headline goes, “Berlin: suspect held and 12 dead after truck crashes into market,” and the screen settles on a visual of the “large black Scania articulated lorry” come to rest, the cab half-tipped over a curb, front windshield blasted into a shatter-pattern, a few strands of coloured lights in the background, strung over the aisles of the outdoor Christmas market. The available officials are cautiously not yet characterizing the event as a “terrorist attack,” merely that the transport truck appeared to “deliberately” plough into the market crowd. There are regular, mostly repetitive bulletins through the evening, an accretion of details building toward some sort of narrative, with odd factoids that stick in the mind. One person in the cab of the truck is dead, say the Berlin police, while a suspect, thought to be the driver of the vehicle, was arrested some distance away in the adjacent Tiergarten, the giant central park that extends from the west side of the city all the way to Brandenburg Gate in east Berlin. And of course the only question about the suspect is, Is he a refugee?, and if so, how much political damage will that do to German Chancellor Angela Merkel and her bid for another term in office in next year’s general election? Already, almost the first political utterance that we hear polluting the air waves is a right-wing politician from the anti-refugee Alternative for Germany party characterizing the victims as “Merkel’s dead.” And with each new update, what-we-know-so-far report, periodic bulletin, we reconfigure the story – someone saw the suspect getting out of the truck, dashing off in the direction of the Tiergarten woods, followed the running figure… did he call the police by cellphone while tracking the suspect? Then the next update adds something to the picture, and the media kaleidoscope rearranges the shifting bits of the story. The first thread of the narrative to take shape is about the Polish man found dead, of a gunshot wound, slumped over on the passenger side of the truck cab, quickly identified as Lukasz Urban, a 37-year-old trucker, who had been driving 20 tons of steel beams to deliver in Berlin. At first it’s assumed he came in from Poland, but later it turns out he was driving the steel up from Italy. However, the Berlin police are in contact with his cousin or is it the owner of the trucking firm in Poland –where in Poland? Gdansk? — who report that they lost contact with the driver sometime in the afternoon – three or four hours before the attack — and testify mournfully to the dead man’s reliability, honesty, quiet goodness. Eventually, we’ll learn – in a world in which everybody’s texting and talking to everybody else on their ubiquitous phones all the time – that the driver’s wife briefly talked to her husband, also in mid-afternoon, and that the trucker had sent the guys at the firm in Poland a selfie of himself eating a doner kebab in Berlin during his late lunch break. And at some point after that, the truck must have been hijacked by the terrorist, the Polish driver held at gun-point and forced to ride with the hijacker – to provide, if needed, operating instructions to the unlicensed terrorist at the wheel? The dead trucker’s condition – reported as bruises and possible knife wounds in addition to the fatal gunshot – are read as possible signs of struggle with the terrorist, even as the truck careened through the helpless crowd. Meanwhile, as I’m scrolling through my Facebook “news feed,” as it’s called, a feature of the FB system I didn’t even know was there – it’s called Safety Check — cuts in. Apparently, if there’s some kind of emergency or catastrophe anywhere in the world, there’s an algorithm that identifies every FB user located in the place where the natural or human-made disaster is occurring and simultaneously notifies all the people who are in your personalized network of FB “friends,” acquaintances, and people you barely know, as they come online, so they can find out if you’re okay. After you click the link, as instructed, a dropdown screen appears that says, “Stan marked himself safe during The Attack in Berlin, Germany after a friend asked if he was okay,” and a conversation thread opens. Within an hour, a couple dozen people or more have clicked onto an icon to indicate their satisfaction that I’m safe. There’s something spookily ultra-modern about the whole business, as if we’re all in a giant Panopticon under constant surveillance. (We are.) I mean, what are the chances — in a city of almost four million people — that I’d be at the very spot where a circumscribed event like the terrorist truck attack was taking place? The odds must be beyond astronomical. But somebody, well-intentioned no doubt, thought that this would not only be a cool feature, but a useful app to build into the world. Sensors and Sensibility? Through the night, the institutions that ensure societal order will have all hands on deck. The media are scavenging for scraps of info on the suspect; medical personnel are treating patients at the scene while hospitals across Berlin are setting up for a long night of surgery and intensive care; and the security forces, including those providing a visible “police presence” in the streets, are everywhere, mostly unseen, scrambling to chase down loose ends and leads. By late evening, the tabloids are identifying the suspect as a 23-year-old refugee from Pakistan, one Naved B. (in Germany, the media are only permitted to provide the first name and the initial of the surname of the accused). It’s confirmed he’d been picked up by police in the Tiergarten, near the Victory Column traffic circle in the center of the park. But there’s something a bit fuzzy about the arrest story that’s not immediately identifiable. Maybe they’ll have it sorted out by morning. Anyway, the bad news, in addition to the dozen dead victims and the many more injured, is political. That the suspect is apparently a refugee, or worse, a terrorist who slipped into the country pretending to be a legitimate asylum seeker, will provide just that much more ammunition to the anti-immigration populists who oppose the “reckless” policy (the policy that the rest of us characterize as “humane”) of giving shelter to the displaced and stateless. And somewhere in all this, there’s also the off-centre factoid that sticks in one’s mind like a charged scrap of cellophane clinging to fabric or flesh: the police are having trouble communicating with the alleged terrorist because he only, or mainly, speaks Balochi, one of five Pakistani regional languages. Have I ever heard of Balochi; did I know that Pakistan had five main languages? The old Beatles’ song, “A Day in the Life,” from the Sergeant Pepper’s Lonely Hearts Club Band album, is rattling around in my head – “I read the news today, oh boy” – as I go through my flat, turning off the lights before bedtime. While I’m sleeping, in the middle of the night, a special police commando unit is raiding a refugee shelter in Berlin where the suspect is registered. The refugee centre is housed in one of the former hangars of the disused Tempelhof airport, in south-central Berlin, now home to a couple of thousand asylum seekers. The police, as is often the case in searches these days, merely seize a laptop and a cellphone, but no additional arrests are made. Again, I notice that the difference between the act of terrorism being here rather than somewhere else, some there (Paris, Brussels, Orlando…) is that I recognize the references, know the geography, have images in my mind of Tempelhof Field or busy Breitscheidplatz. By morning – glimmers of daylight don’t appear until well after 8 a.m. around this time of year – when I wake, the story has taken another turn. First, there’s a vague announcement, via the ministry of the interior, that the suspect may not be the person the authorities are seeking. May not be seems an awkward way of putting it, an odd locution. By midday, the authorities have released Naved B. for lack of evidence, and police don’t release suspected terrorists unless they’re pretty sure there’s absolutely nothing connecting them to the crime. Which means that the real terrorist is still on the loose, and armed. And he has a 16-hour or more head start. There’s a new suspect. It must be the next morning, Wednesday. The police have taken the unusual step of posting his picture all over TV and the internet, which means they have no idea where he is. But in searching the cab of the truck – and this is probably what convinced the authorities that the suspect they were holding was the wrong guy – the police turned up a wallet which included some identification documents of a 24-year-old Tunisian “drifter” (as some of the press later tagged him), plus the forensics team had picked up fingerprints from the truck cab. 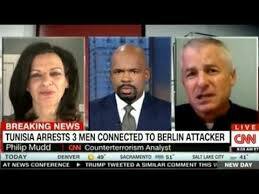 Even worse, the police not only know who he is, having had him under surveillance for several months, but his identity – one Anis Amri, among a half-dozen aliases – “immediately alarmed intelligence officials from Europe to Washington,” as the newspapers rather melodramatically put it. I’ll skip the phenomenological narrative method I’ve been employing throughout this account — an attempt to reproduce some of what it feels like to be a local observer trying to think through one of these increasingly familiar situations as it’s unfolding. Mainly it’s about being drawn in to the social task of “constructing” the story in what’s called “real time,” readjusting the plotline as new details accrue, jiggling the evolving interpretation, etc. Time speeds up and slows down, space expands and shrinks. The Italians couldn’t ship Amri back home because there was some paperwork glitch with the Tunisian passport officials, so, from Italy, Amri slipped into practically next door Germany in mid-2015, in the midst of Merkel’s expansive and humane refugee welcoming policy that saw almost a million war-riven asylum seekers enter the country, mostly from Syria, but also from Afghanistan, Iraq, North Africa, and elsewhere. In spring 2016, Amri formally applied for asylum, having at first settled in west Germany, but then shuttling between there and Berlin. In both places he was under surveillance on suspicion of plotting an attack. German police quickly tagged him as a security threat who was known to have links to a radical Salafist preacher at a Berlin mosque, and at one point he had been in police custody pending deportation hearings after being caught with fake papers. The preacher, Abu Walaa, known as “the man with no face” for his habit of preaching with his back to any possible camera, had been arrested, along with associates, six weeks before the truck attack, charged with recruiting terrorists and supporting the Islamic State. Earlier, in the attempted deportation process, although Amri was in custody, German authorities felt obliged to release him because of some bureaucratic glitch, again involving paperwork in Tunisia. His file had also turned up on the radar of U.S. security agencies – it was claimed that he had done online research about making explosive devices, had communicated with Islamic State officials, that he had been placed on a U.S. no-fly list. When we got up on Friday morning it was all over, just as suddenly as it had begun on Monday evening. “Berlin attack suspect shot dead by police in Milan,” according to The Guardian “live update,” and every other media outlet. In the intervening 72 hours between the attack and his end, Amri had taken a train from Berlin in eastern Germany all the way to the Netherlands, then France, boarded another train and rode to the outskirts of Milan, where he disembarked sometime after 1 a.m., early Friday morning. A few minutes later, he was stopped by police making a routine check outside the Sesto San Giovanni train station on the outskirts of Milan. When asked for his identification documents, Amri reached into his backpack, pulled out a gun, and winged one of the officers in the shoulder. In the ensuing shootout, the other officer shot the fugitive in the chest. He was dead before the ambulances arrived. You could see the wounded officer on TV that afternoon, in good condition and recovering in hospital, along with a lot of media wrap-ups of the story. The predictable point of contention had to do with Amri being able to cross three or four national borders without being checked for I.D. in “borderless” modern Europe, something that various populist politicos, especially in France, the Netherlands, and Germany (all of whom are holding elections in 2017) could pounce on in their campaign to lock down the Continent. But the Berlin attack was over. By late Friday afternoon, the media caravan had moved on to a plane hijacking in Libya, and the Berlin terrorist-shot-and-killed story had been reduced to the news “crawl” sliding across the bottom of the screen. The Libyan plane had been forced to land on the island of Malta, but the local authorities had talked the hijacker out of whatever plans he may have had, and everybody got off the aircraft with no one getting hurt. In Berlin the next day, it was Christmas Eve. When I took an afternoon walk in my neighbourhood, there was almost no one on the streets, and traffic was light. My local café, the Kastanie, was closed, and so was every other restaurant, coffee shop, and fast food stand on the street. I went home and got ready to go upstairs for dinner with friends who live in my building, who had just come back from winter holidays in Cuba. So, if you’re here, and not there when it happens (whatever the “it” happens to be), then you follow all the storylines, become familiar with the countless details (that almost instantly dissolve for those who are there rather than here), join – in imagination at least – the sleuths who are putting together the clues and constructing the narrative. You recognize the streets and landmarks where it’s happening, as well as the faces of the politicians who appear at periodic press conferences, with condolences and updates, while whatever outrage there is is reserved for the opposition politicians who are angrily holding the regime of the day responsible for whatever has gone wrong, even though most of the rest of us aren’t inclined to take them all that seriously. In fact, the emotional resonance of the terrorist attack in Berlin struck me all week as curiously muted. 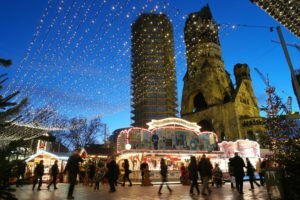 Most of my Berlin friends and acquaintances reported themselves unsurprised, unshocked and even un-outraged, if there’s such a word, by the deadly incident; they’d been half-waiting for something like this to happen, given that similar attacks had been sporadically erupting across Europe in recent years. 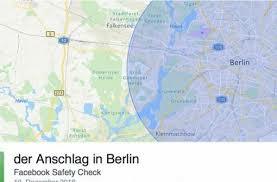 Why would Berlin be spared? 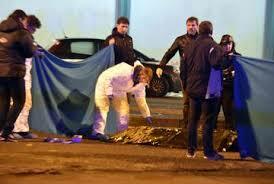 If these things happened in Paris, Brussels, London, why couldn’t they as easily occur in Rome, Amsterdam, Athens? Or, as of now, Berlin. Even the mourning rituals seemed, if not perfunctory, rather gestural. There is a form of expected behaviour to which everybody has been trained and inured, having seen previous televised spectacles. 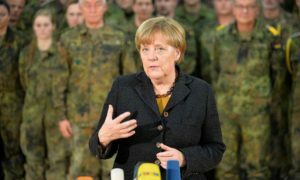 In addition to the popular “makeshift” memorials in the square, there was also the more formal ceremony, held in the modernist church located next to the ruin of the old bombed-out memorial church, and attended by the recognizable dignitaries, led by the familiar figure of Chancellor Merkel. The public mourning also was low-key, and Berliners appeared to be neither especially fearful nor in need of courage-affirming expressions of unity. A possible attack was simply part of everyday life now, a calculable risk, like auto accidents or natural disasters. In fact, since people were regularly killed in traffic accidents in large numbers annually, perhaps the truck attacks were less psychically shocking than mass shootings in nightclubs and cafés, or at pop music gatherings, as had happened in Orlando, Florida and Paris. As people gathered around Christmas Eve dinner tables, there was recognition of the possible political ramifications of the attack, and the watchword of the season seemed to be a matter-of-fact mutual caution against “over-reacting,” and thus playing into the hands of rightist populists and worse. Oh yeah, I just remembered. What I was thinking about, that then subsequently slipped my mind, on the morning of the attack, between reading about Brutalist architecture and going to lunch with my friend Thomas at the neighbourhood café was, of all people, Carlos Slim. How I got to Carlos Slim is that I had become embroiled in one of those typical Facebook arguments – this one was about the current issue of “fake news,” and the dispute over the widely distrusted MSM (or Mainstream Media, such as the New York Times) versus its counterpart, what I call “minorstream media,” which is often blithely believed by their respective leftist and rightist partisans (the centre, as Yeats famously put it, cannot hold, or at least isn’t holding up very well in these polarized times). The larger context which encompasses all of the present debate, and why I’m thinking about it in the midst of a terrorist attack in Berlin, is the old philosophical issue of what we can know (the fancy word is “epistemology”) in a milieu of increasing skepticisms and mere “truthiness” (to cite comedian Stephen Colbert’s neologism, which he then translates to dog-Latin as Veritasiness). I had remarked to the non-friend I was arguing with on Facebook that I preferred both the news and opinions of the liberal New York Times (NYT) to those of such minorstream vehicles as Breitbart, Angry Patriot and The Federalist (on the right) or Common Ground, Truthdig, Counterpunch, or The Intercept (on the left). If you’re the average Dear Reader, you may have little idea of what an intense target of hostility the mild-mannered, centre-left NYT presents to various discerning minds. My FB interlocutor sneered back something to the effect of, Do you mean the neoliberal rag owned by that drug-dealer slimeball Carlos Slim? I soon signed off from this bit of internet unpleasantness and turned to the morning edition of The Guardian. Just as I was wondering if I actually knew anything about Carlos Slim –was he an evil drug dealer directing the news content of the fabled Times, or was that another “fake news” concoction? or was he, as a hasty Google search reported, merely the Mexican multi-billionaire telecom tycoon whose holdings include some 14%, at last reported count, of the stately NYT newspaper? – there he was, in the morning paper (or was it the morning after? did I have the argument on FB on Monday before going to lunch, and then find the Guardian story the next day?) While police across Europe were scrambling after the Berlin truck terrorist, “Trump and Mexico’s richest man meet for ‘lovely dinner’ at Mar-a-Largo resort,” according to the headline. Mar-a-Largo is a Trump-owned pleasure palace in Florida where the President-elect was spending Christmas (there were lots of daily images on TV of waves washing in toward the shoreline, wind ruffling palm tree fronds, as reporters delivered regular updates on the next president). Though Slim had labelled Trump a racist during the electoral campaign and Trump had accused Slim of being “the string-pulling manipulator who orchestrated a media conspiracy to defeat [Trump’s] election campaign,” and now, “although contents of the dinner or discussion were not disclosed,” the encounter, according to Trump, was “a lovely dinner with a wonderful man.” (David Agren, “Trump and Mexico’s richest man meet,” The Guardian, Dec. 20, 2016). And why, oh why, does any of this matter? This is, for a change, a rhetorical question with an answer: because the mediation (emphasis on “media”) of reality is now inseparable from the cultural context in which we exist. Because, in an absurd universe, without known purpose, but limited by our experience of the bounds of time (which may or may not be ontologically independent of us), and which culminates in our individual deaths, whether or not something is true or whether reality is discernible, depends on this – this rattling on, this intersubjective mediation in language, this construction of narrative, or story. Because, if we want to have any experience of authentic moral grief when someone senselessly ends the lives of a dozen people, removes them from existence forever, for no sane reason whatsoever, then we have to be able to ask (and mean it), What gives this medievalized, ignorant, true and false believer the right to slaughter those innocents in the city square? It matters because a 3-year-old girl I know is busy putting together a jigsaw picture puzzle. And because, finally, as a friend of mine, who passes on the quip of the day about “fake news” puts it, the problem is not that people think the fake news is real, it’s that they think the real news is fake.